The shocking news that I learned reading my weekly stack of comics is that Nailbiter only has two issues left! The series has felt that it is coming to its natural conclusion, but I didn't expect it to happen that quickly. Joshua Williamson and Mike Henderson both stated that they had a clear beginning, middle, and end and that the series will wrap up as they intended from the start. As Mike said in the letters section of this week's issue, "it was better to leave people wishing there was more than asking why something was still going." He was paraphrasing Vince Gilligan, and it sums up my feeling towards a lot of comics. I am going to miss Nailbiter, but am going to revisit Buckaroo on an annual basis to immerse myself in this wonderful story. Saga #41 - An error in the printing delayed this book one week and it is a fitting way to kick off the new year. After the cliff hanger that left us thinking that Prince Robot was going to take his own life, I am pleased to report that Alana and Marko intervened and appear to have saved another life. In the meantime, The March has finally tracked down Alana, Marko, and Hazel and plans on adding to the body count after killing (can you kill a ghost?) Izabel in order to track them down. In possibly the most heartbreaking moment of the issue, The Will is briefly reunited with Lying Cat and Sophie and it doesn't go according to plan. The end of this issue would have been a fitting end to 2016 (I am pretty sure Brian K. Vaughan intended it to end the worst year in recent memory) and left me absolutely stunned. I won't spoil anything, but it was one thing I felt confident would never take place in this series. Nailbiter #28 - As I mentioned earlier, Nailbiter is going to reach its conclusion only two issues from now. This issue sets this in motion as the town is utterly crippled due to a string of explosions in the underground tunnels. It really spells the beginning of the end for Buckaroo, and there is a mad dash to get everyone from the hospital safely transported to Portland. This includes Sharon Crane, who is saved by her daughter following the horrific attack from issue #27. The attempted transfer doesn't go quite as planned, as Alice (the child of the Nailbiter and Sharon Crane) tries to wake up her dad and save him as well. The beginning of the end is upon us, and it looks like there are going to be some casualties along our short path to the conclusion. 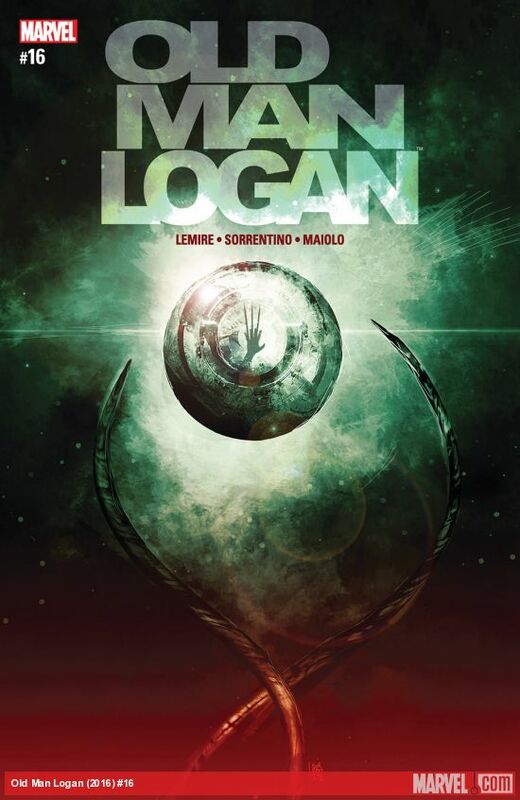 Old Man Logan #16 - In a surreal issue, Logan appears to be flashing back to the point that brought him back in time as he returns to Las Vegas to check on the child, a descendant of Bruce Banner. Jeff Lemire does a great job matching up his return to Vegas with a flashback to him attempting to rescue Puck who sent him a distress call from an abandoned satellite that has been taken over by the Brood. As he returns to find the child missing, his flashback takes us to the point where he remembers what caused him to be sent back to prevent the destruction that took place in the Wastelands. Unfortunately we will have to wait until the next issue to learn more. Guardians of the Galaxy Vol. 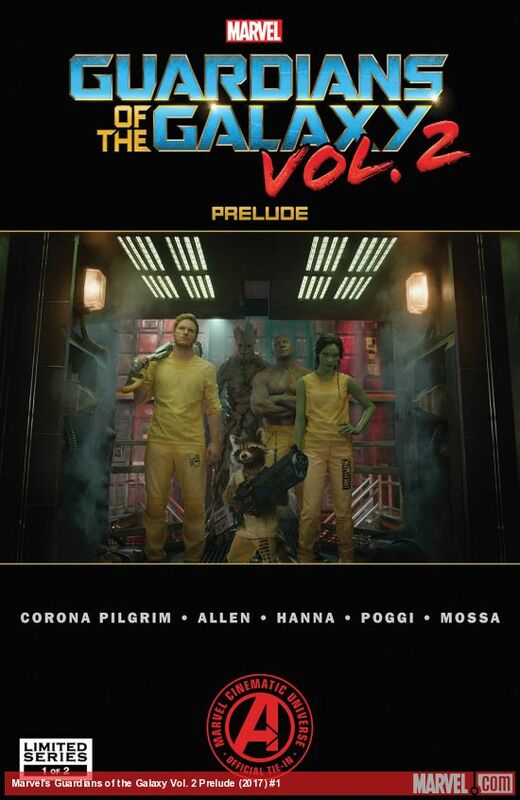 2 Prelude #1 - As someone who is a huge fan of the first Guardians of the Galaxy movie and is eagerly waiting for Vol. 2, I was excited to see a prelude comic to wet my whistle. Color myself disappointed as this is merely a comic re-telling of the events in the first movie. While the art and comic are well done (I am really impressed how they successfully compressed half of the story into one issue), I was hoping for some new content. If you are a huge Guardians fan or if you haven't seen the first movie, this comic is for you. Otherwise I would leave it on the shelf for another customer.